Do you have a cool pair orange trainers in your rotation? If the answer is Yes...Well done, you are on point with your style and we applaud you for leading the way in the style stakes. 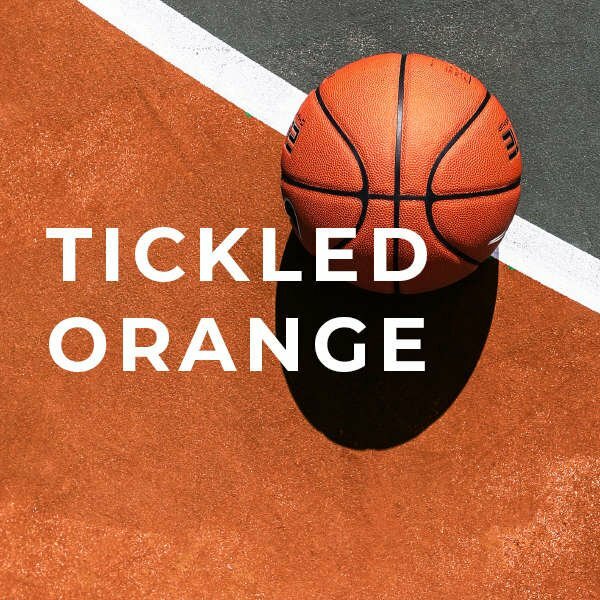 If the answer is No...then read on and make selecting a cool pair of orange trainers a priority when selecting your next pair. A traditional colour analysis would normally place orange in the autumn season with the stereotypical images of the pumpkin and fall colours across northern hemisphere woodlands, but that's been completely flipped on its head this season! Typical spring colourways could be bright pops of yellow, blue or red to bring the spring quarter products to life, but what we're actually seeing is warm and sandy oranges along slide bright greens with pops of vivid orange instead. It's super important that you keep your rotation on point so we've pulled together a seasonal assortment of the best products available that feature this key colour palette for the season. Here's our run down to the coolest orange trainers available right now. Whether you run in running trainers or not that doesn't really matter I suppose. Old Tech or new tech they are the most supportive and comfortable style of trainers available and are the go-to for many of us. But which are the coolest orange running trainers available in our humble opinion? 4: Asics Collabs used to be fire, and this Delva is bringing back the heat for sure. 3: Great to see Diadora delivering on a strong colourway for the season. 2: New Balance have hit the tonal jackpot with this NB576. 1: The orange and gold are a match made in 'Soleheaven'! Now we move on to the polar opposite of tech runners, by shortlisting the coolest vulcanized trainers that feature orange and warm tones that will enhance your street style instantly. 4: We're a sucker for the chuck 70 and this understated beige is such an easy wear. 2: Lush suedes enwrap this vivid orange colourway with a crisp white contrast on the midsole. 1: Technically gold, but we loved it too much not to include it. We appreciate that all out colour is not for everyone, so If all over orange is too much for you, below is the best of the accented colourways. 4: Its all about the cheeky hit of orange in the air unit and jewel. 3: Tonal grey uppers show of the complex panelling and feature a hint of colour on the 'N' and heel pull. 2: Orange has historically been a key colour for Nike in the 'Just Do It' series. 1: Super wearable blend of grey and gold. This 574 is affordable and a must have in our humble opinion.